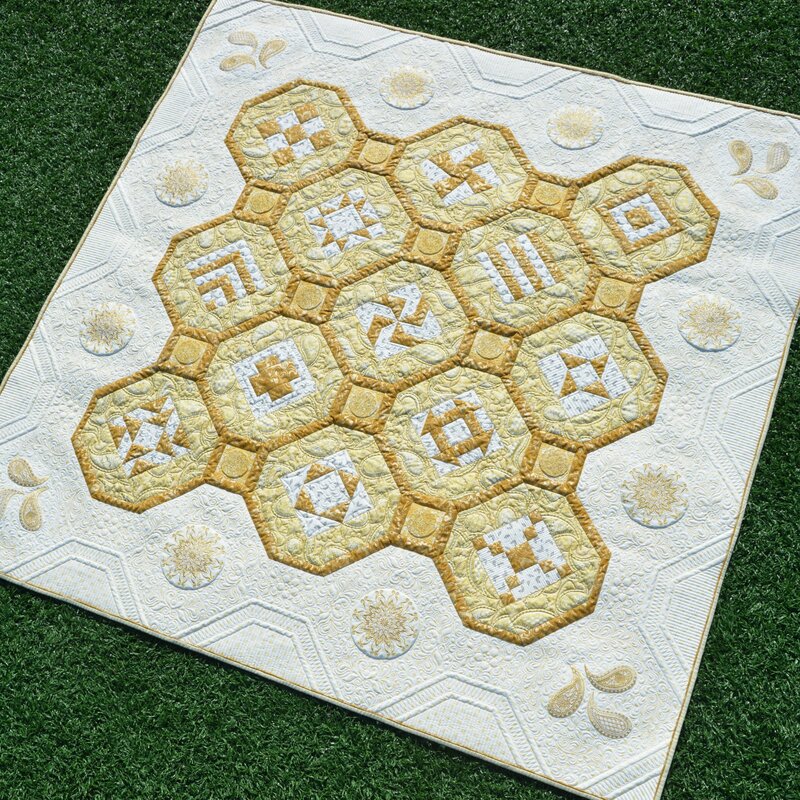 Join us for a 3-month journey creating Bernina's beautiful 125th anniversary Jubilee quilt. If you choose not to embroider the cornerstones and border embroideries you can use fussy-cut fabric instead or eliminate the embroidery all-together. There is also a Jubilee embroidery panel available that features the motifs that are embroidered on the quilt in exactly the same size. You can back that panel in paper-backed fusible web and cut out and appliqué the motifs onto the quilt top for a similar look.